It’s understandable that NASA’s attempts to travel to the stars have yielded innovative spillovers in the world of technology, but the list of taken-for-granted everyday items developed over time is nonetheless pretty surprising. Sometimes, objects designed for the rigors of space travel translated perfectly and quickly caught on. In other cases, NASA was directly approached to revolutionize a preexisting item – for example, pre-1971, American firefighters were struggling with breathing devices, but NASA improved them, reducing their weight by a third. NASA has also worked closely with companies to create new technologies for their space missions, and in the process they changed the world. For instance, NASA asked Black & Decker to construct a lightweight drill for the Apollo missions, and this led to the invention of cordless tools. But there are more. Read on for 10 everyday items invented or otherwise pioneered by NASA. Astronauts launched into the freezing vacuum of space not only need warmth, but durable clothes that can cope with difficult work in a hostile environment. And one of the results of NASA’s research into lighter, more versatile clothing has been walked on by millions of unsuspecting people around the world. 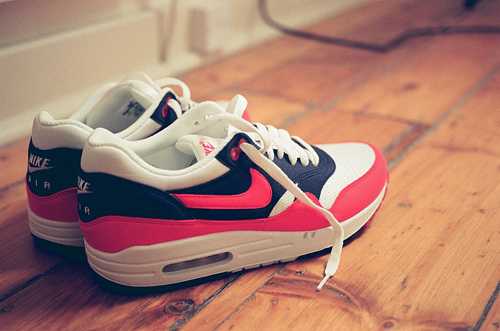 In the act of creating smarter, more dynamic spacesuits, NASA significantly advanced the technology of athletics shoes. In the early 1980s, a process called blow rubber molding was used to create space helmets, and NASA innovators literally turned the technology upside down. The process was pitched to Nike by former NASA engineer Frank Rudy, who suggested that the soles be filled with shock-absorbing material and air cells. Rudy’s pitch led to the creation of Nike Air – loved by runners and rappers to this day. When space travel is at stake, mobility and power are two vital considerations. So to help Apollo astronauts gather samples, NASA turned to hardware corporation Black & Decker to develop a special, lightweight, battery-powered drill able to cut through moon rock. This small, portable drill went on to spark major cordless tool advancements in building, medicine and manufacturing. 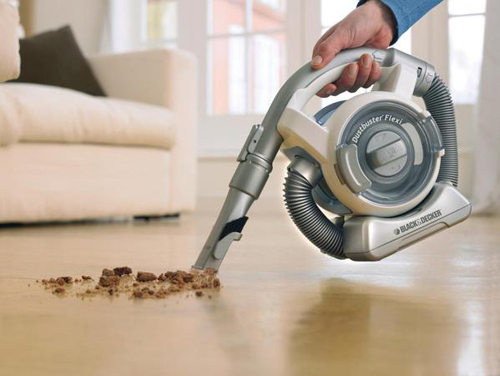 What’s more, the computer program designed to keep the drill’s power requirements down helped pave the way for the commonly used Black & Decker Dustbuster. Introduced in 1979, more than a decade after the first manned Apollo mission, the small, mobile vacuum cleaner was a hit with consumers, and Black & Decker sold over a million of them in the year after their launch. Some offshoots of NASA’s research and development are less obvious – like invisible braces. When it comes to correcting misaligned teeth, clear braces are far more aesthetically pleasing than the usual metal “train tracks.” These more natural looking braces are made using transparent ceramics known as translucent polycrystalline alumina (TPA). Heat-seeking missile trackers have infrared antennae that require protection. Thus, together with a company called Caredyne, NASA Advanced Ceramics Research created TPA to go on these antennae. However, it soon became apparent that there were more commercial applications for the technology. 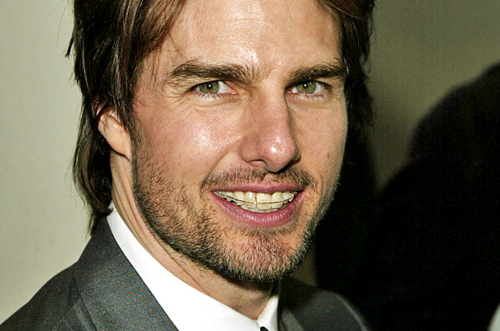 While invisible braces can be more fragile than their metal counterparts, their inconspicuousness was soon advocated by the dental industry, and they achieved popularity thanks to well-publicized celebrity use – notably, by Tom Cruise. On a space mission, access to clean, drinkable water is clearly vital. And in space, any bacterial or water-borne sickness would cause considerable problems. 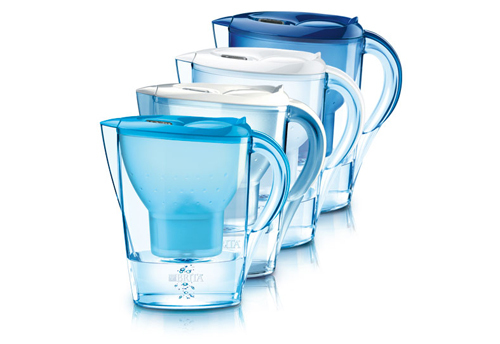 Although water filtration technology had been developed in the 1950s, it wasn’t sufficient for the rigors of space travel, so NASA had to come up with an answer. That answer was the innovative use of charcoal. The silver ions contained in charcoal were found to destroy bacteria in water and prevent their further growth. Consequently, the technology was soon adopted by companies and can now be found in millions of kitchens around the world. Yet the research didn’t stop there. When one thinks of water – or a lack thereof – it’s one small mental step from the desolation of space to the harshest deserts on the planet. The potential benefits are obvious. In fact, continued NASA research could signal an end to water shortages through a system that maximizes scarce resources by yielding safe drinking water from respiration, sweat and urine. Such advances would have life-changing effects on the poorest, drought-ridden parts of the world. 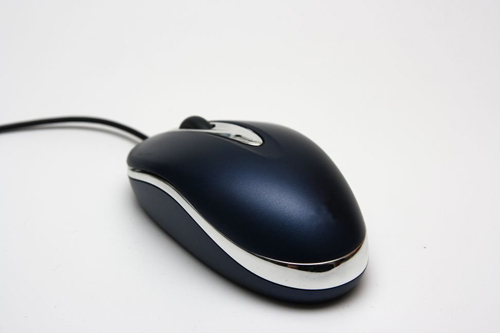 Today, millions of computer users around the world take their computer mouse for granted. But the development of such a clever pointing device for interactive display technology was the product of a great deal of research carried out in the mid-20th century. One early attempt was the trackball computer device, which was developed by the Royal Canadian Navy’s DATAR team in 1952. However, as the DATAR project was shrouded in military secrecy, no patents were filed and commercialization was impossible. In 1961, the idea for the mouse came to Doug Engelbart when he was tackling the tricky subject of computer control. And in the mid-1960s, NASA contracted Engelbart to carry out efficiency tests on various pointing devices. Engelbart’s primitive solution – with a lead that made it resemble a mouse – was the winning result of these tests. Subsequently, Engelbart’s “mouse” was adopted as the standard device in NASA’s continuing research. Moreover, as everyone knows, the device went on to have a dramatic effect on the home computer revolution. 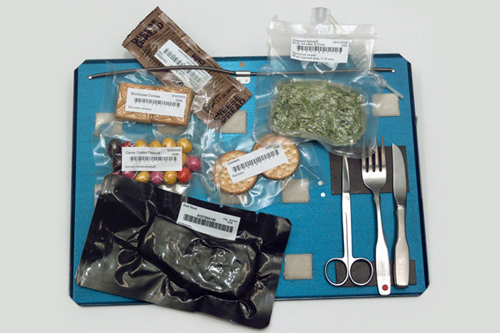 Sending humans into space is no easy task, and how astronauts would eat was a fundamental concern from the start. With limited room and the obvious preservation requirements, this was a serious challenge for early space pioneers. With NASA’s Mercury Program, astronauts “enjoyed” a diet of bite-size cubes, freeze-dried powders, and semi-liquids held in tubes. Predictably, the feedback wasn’t great, and by the time the Apollo missions had been launched, matters had improved dramatically. Throughout the 1960s, NASA conducted extensive research into food for space travel and developed their freeze-drying technology – including making the foods more palatable. The revolutionary technique of freeze-drying involved cooking the food, immediately freezing it, and then removing the ice crystals, thus creating a food that weighed a fifth of its original weight and preserved almost all of its nutrition. The technique was soon commercialized by Action Products and has subsequently generated millions of dollars while becoming integral in food services for the elderly and disabled. And if you fancy trying it for yourself, online retailers like Amazon provide tasty astronaut foods such as strawberries and ice cream. Satellites are one invention people can easily associate with space travel. Furthermore, not only have satellites vastly increased our understanding of the universe; they’ve transformed communication and entertainment as well. Of course, one of the more notable product spin-offs from the technology is the system of satellites that provide global positioning around the planet – an invention millions of car drivers utilize every day. And while NASA didn’t actually invent GPS, it was their satellite innovation that enabled its widespread adoption. In 1960, NASA’s Project Echo became the world’s first passive communications satellite experiment and was able to bounce communication signals between different points on the Earth’s surface. Two years later, on July 10, 1962, the Telstar satellite beamed images of the American flag flying at an Andover communications center to US television audiences. The Telstar satellite had been launched by NASA early that morning. 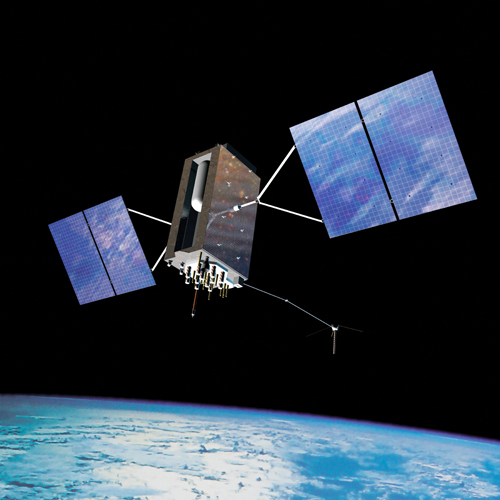 There are currently 32 GPS satellites orbiting the Earth, helping travelers get to their destinations the world over. One serious danger that comes with space travel is overexposure to light. Risks are posed not only by radiation from the sun but also man-made threats like welding and laser work. In response, NASA’s Jet Propulsion Laboratory (JPL) developed a technology that continues to be used today. The laboratory turned to nature, and by studying the eyesight of birds of prey, scientists created a lens that could diffuse and absorb the harmful light without impeding vision. And as well as getting rid of damaging wavelengths, the technology improved visual acuity by boosting the effect of harmless light. SunTiger Inc., which is now Eagle Eyes Optics, was then established to release a brand of sunglasses directly derived from the JPL innovation – a technology that has recently earned a spot in the Space Technology Hall of Fame. The discovery also has profound implications on Earth in parts of the planet where eye protection is particularly vital. One such area is Alaska, where the reflection of the sun on the snow has led to a massive increase in cataracts. 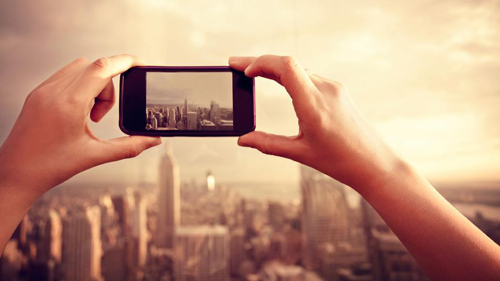 Eastman Kodak created the world’s first digital camera in 1975, but a NASA engineer pioneered the technology behind pocket-sized mobile phone photography. Working for NASA’s Jet Propulsion Laboratory (JPL), engineer Eugene Lally suggested the concept of a digital camera in the 1960s, but it was another JPL team, under Eric Fossum, who miniaturized the technology in the 1990s. Developed for interplanetary spacecraft, these cameras were small yet maintained excellent image resolution that was scientifically satisfactory. Armed with the invention – called the CMOS-APL (or, the somewhat less catchy, the “complementary metal-oxide semiconductor active-pixel sensor”) – Fossum and his team established the Photobit Company in 1995 to market the technology. Early sales to the automotive and medical industries soon went ahead, and shipments skyrocketed with the boom in web cameras and – especially – cell phones. In 2008, two years after becoming the world’s largest supplier of the sensors, Photobit shipped their billionth unit. For this innovation, Fossum earned a place in the US National Inventors Hall of Fame in 2011, while his team and the technology itself made the Space Technology Hall of Fame. Any astronaut leaving the Earth’s atmosphere faces not only the dangers of space but also the risks associated with coming back. Space shuttles are capable of returning from orbit and landing on a runway, but before this, astronauts reentered the Earth’s atmosphere in space capsules. Slowed down by multiple parachutes, these capsules would land in water. However, after they splashed down, astronauts were not automatically safe. While they waited for a helicopter to rescue them, these crew members needed a life raft that inflated quickly and remained stable in rough seas and under the force of the helicopter’s downdrafts. 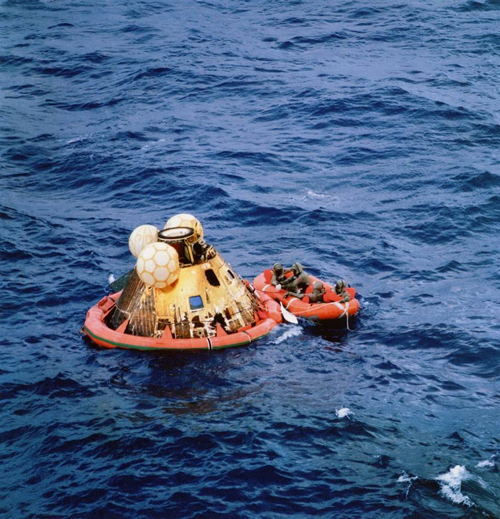 In response, the self-righting life raft was developed for NASA’s Apollo Program. This raft could completely inflate in less than 12 seconds and stayed sturdy under duress. What’s more, NASA’s invention is now used on everything from small boats to massive ships and is employed by coastguards all over the globe.